After ten years, Matthew Bourne has revived his critically acclaimed stage interpretation of Tim Burton’s cinematic masterpiece, Edward Scissorhands, brought to life by his dance theatre company, New Adventures. 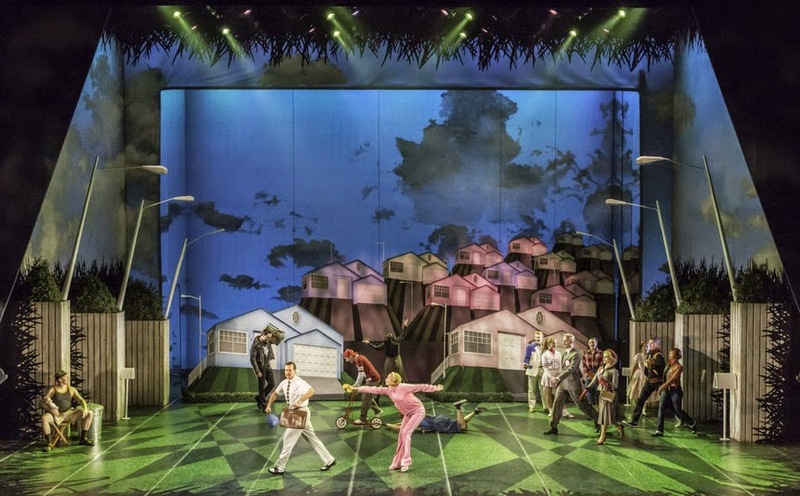 It recently kicked off its nationwide tour after a successful month-long residence at London Sadlers Wells theatre over Christmas and is currently performing at Liverpool’s Empire theatre. This unique modern fairy tale of how society reacts to the outsider and how it treats all those who are different has unquestionably become a cult-classic. One day, a clever, but lonely old inventor decides to create a son; and so, using his ingenious skills, Edward is brought to life. However, the old man passes away before he can replace his creation’s frightening scissor appendages with hands and innocent Edward is unwittingly left alone and incomplete. When he finally ventures beyond the grounds of his father’s crumbling mansion, he is taken in by the family of a caring Avon saleswoman and falls in love with her teenage daughter, Kim. Thanks to his strange appearance and the whacky, imaginative hedge sculptures and haircuts he produces, Edward quickly becomes flavour of the month with the town’s residents – but it can’t last, and as the tide turns and opinions change everything begins to fall apart. Unafraid, as ever, to stamp his own mark onto renowned and much loved works, Bourne has daringly added a striking new addition to the plot, creating a prologue that reveals to us the tragic reasons why the inventor decides to create Edward in the first place. In addition, he takes the essence of some of the larger than life inhabitants of Hope Springs that we recognise from the film, developing and transforming them into entire families for a more defined and contrasting patchwork of suburban life that still successfully channels the comedy of the original. For example, Burton’s fanatically religious neighbour becomes a whole god-fearing, judgemental family complete with Goth son, and a garish family of hicks set up their lawn chairs next to the pin-up perfection of the local mayor and mayoress’s offspring. As always with a Bourne creation, the set and costumes, both designed by Lez Brotherstone, are mesermising and perfectly compliment the performance. Some aspects of the creative changes, however, don’t come without a certain loss. In Burton’s film we see lucky, strong-hearted and unerringly decent character of mother figure Peg Boggs fearlessly visit the ominous mansion that broods over the town, discover the lonely Edward, and usher him into the colourful, 50s-isinpired world he only ever spied from afar. Yet, Bourne’s Peg simply discovers Edward as he wanders the streets in confusion, and although she is kind and loving, the prominence of her role is significantly lessened and there is a sense that she merges a little too completely into the background as a slightly more mundane 50s housewife character. Of course, to a die-hard fan, in the re-adaption of such a timeless cult-classic there will always be something at which to nit-pick. Yet, the change is a forgivable one when considering the difficulty of translating the heart-breaking emotion of the original work into expressive dance choreography. Nevertheless, Bourne’s Edward Scissorhands is a triumph. Talented young Dominic North wins the hearts of audience members with his excellent portrayal of Edward (also played by Liam Mow) and overcomes the challenge of handling the scissor blades that are part of his costume effortlessly. All the company’s dancers, without exception, are immensely gifted. Larger scenes featuring the full cast of over twenty are truly a feast for the eyes, with little character quirks played out wherever you look, thanks to the careful attention of Bourne’s devoted choreographic detail. One particularly memorable and beautiful scene portrays Edward and Kim, as they dance within a magical dream sequence where the topiary figures Edward sculpts whimsically come to life. 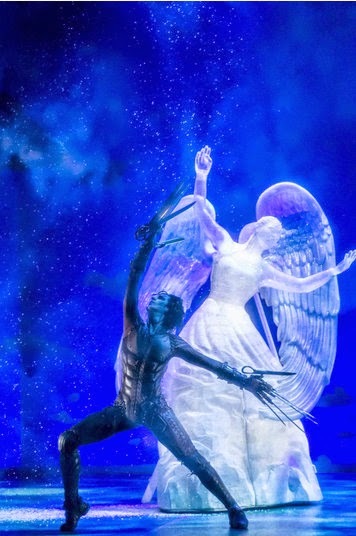 Another re-enacts the famous scene as Edward sculpts an angel out of ice and Kim dances entranced in the snow-like flakes that fall below, all with gorgeously balletic choreography. Touring until mid-march, regardless of whether or not you are a fan of Bourne’s work or even of dance, everyone must seize the fleeting opportunity to catch this magical work for the second time before it’s over for good. As if on cue, as the curtain falls in Liverpool, flurries of snow roll into the city and across the North West - you can’t help but wonder if Edward is behind it all. For more information about the show and for tour dates, visit Matthew Bourne's New Adventures website here.